My cousin died last year, at least that’s how it felt for me. She actually died seven years ago, so my delayed sojourn into Loss has been very private…very lonely. Let me explain. I grew up in California and made family trips to Seattle to see my three cousins: Sarah, Susan and Sally. I am without siblings, so these three were very special in my little girl years. Adult life took us all over the country, I landed on the east coast. My contact with them changed as our lives changed, but periodic calls and visits always mattered to me. Last year, I called my step-father on the west coast to get an updated number for Sally, having lost touch with my cousins and he informed me, “Sally died six years ago.” Before I hung up the phone, in shock, he even scolded me for not being around enough – but that’s another story. This story is about my personal experience with “disenfranchised grief.” My ministry and writing in grief has taught me this phrase, it has been helpful to so many people and now I understand it from the inside out. I was not able to attend the funeral for my cousin, not able to be with her sisters to mourn Sally’s tragic, and too soon, death. I was not able to share my memories or to be part of the collective grief that supported all who knew and loved her. In my case, a choice was made, my loss was dismissed when my step-father chose to leave me out. 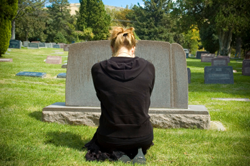 But disenfranchised grief can happen in many forms; the common theme is that the grief is not acknowledged by society and not shared in a public way. The reasons vary. A required business trip that prevents attending the memorial service can create the experience of being “cut off” from shared mourning. A family, seeking privacy, can unintentionally set up disenfranchisement in their need to restrict participation in funeral services. Loss changes everything. Grief, the healing balm following Loss, is often complicated without simple social acknowledgement and a safe space for feelings. So what do we do? We “enfranchise” our grief. We give ourselves permission to grieve. We give ourselves agency to take care of our needs to honor and remember. I called my cousins, and shared my love. I wrote a message about Sally, something I might have said at her memorial service. Last summer, I planted some daisies in her name – bright and happy flowers that reminded me of her spirit. And I am telling you about Sally…she was a sweet presence. She was one of those people that brought light into a room and warmed it up, just by being who she is. Because of these memories, I know Sally loves me in spite of our spotty connections over the years. Because I trust grief’s healing touch, I reentered the Land of Loss with less fear and more hope, and there I found Love. What beautiful thought you are sharing. Thank you. 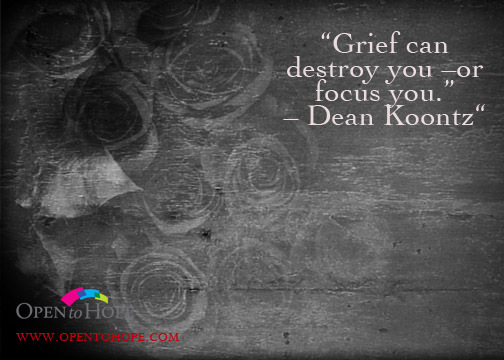 Your story is meaningful because most of us have experienced grief. I believe each person deals with it differently. Some of us carry it alone, others share – and sharing feels good – as you have. I have done both. Most of all we must forgive ourselves for any neglect, hurt, or wrongdoing of the past, because there are the treasured moments remaining with us. Elisabeth – how nice of you to offer feedback and connection. Thank you. I am hard at work revising a manuscript for a book on grief, due to be published in 2017. Wonderful to have your IWWG energy enter my world of grief. Hold on to the treasured moments, they are the expression of love. peace to you Elisabeth.